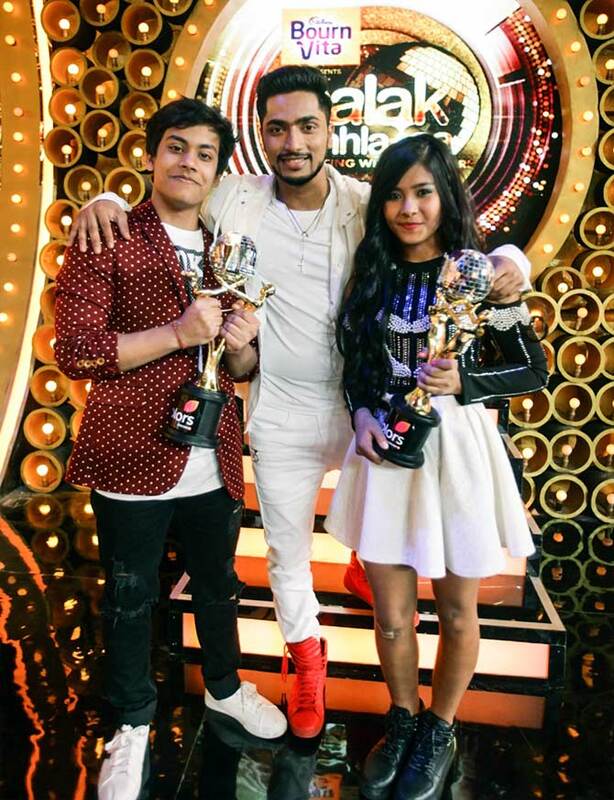 Teriya Magar wins Jhalak Dikhhla Jaa 9. IMAGE: Teriya poses with her choreographer Rishikaysh and dance partner Aryan. 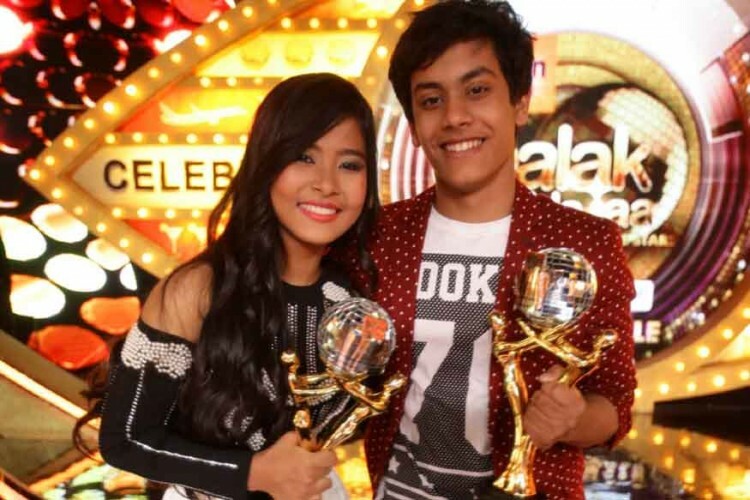 Teriya Magar, 14, has won the ninth season of celebrity dance reality show Jhalak Dikhhla Jaa. The Nepali girl is the first wildcard entrant to emerge as the show’s winner. She beat popular contestants like choreographer Salman Yusuff Khan and actor Shantanu Maheshwari in the show’s grand finale. 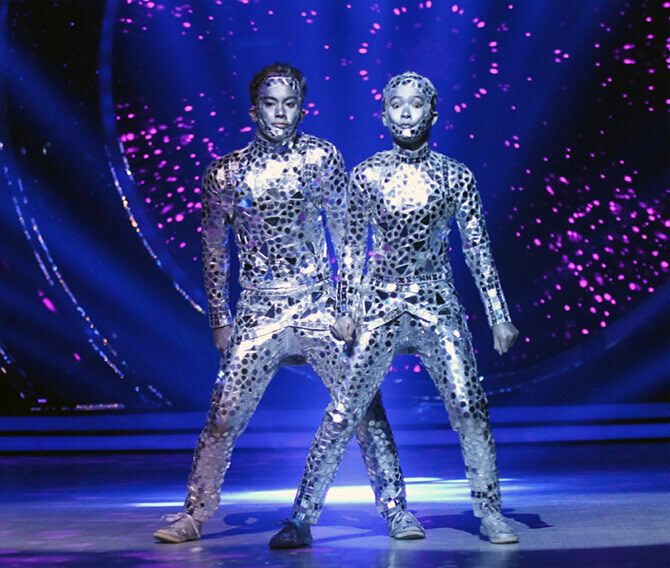 “Salman bhaiya is a fantastic dance and Shantanu has won the dance championship internationally. I was expecting one of them to win, so it was unbelievable!" she exclaimed. "They have achieved so much in life. To be in competition with them and to share the stage with them is a big achievement in itself. Winning the title is icing on the cake." "Lifting this trophy makes me feel like I have achieved that the dream that I had when I began my Jhalak journey," she continues. "I am grateful for the audience for voting us. No wildcard has won this reality show till date, so we have created history." Teriya joined the competition mid-way as a part of judge Farah Khan’s team of wildcard contestants. After giving some fantastic performances, she got evicted. She returned as a wild card entry. “When I got evicted, I never thought I would come back. Coming back was the best moment for me. The benchmark was already set, so it was not easy to compete with them. We had to really work hard to match up or better them. Finally, our hard work has paid off," she said. Teriya thanks her choreographer Rishikaysh and dance partner Aryan for standing by her throughout the journey. So what will she do with the prize money of Rs 30 lakh? "We will use a part of it for the Teriya Magar Foundation for Special Kids, founded in 2015. My parents will use the rest for my future," she replies. Teriya is also the winner of DID Little Masters Season 3. Her father is a chef and mother is a housewife. Her older sister is in college. The family shifted base from Nepal to Mumbai after she won DID. "I have been giving stage shows in India and abroad. I get invites from my community and award functions. I have traveled to 15 countries like Malaysia, Dubai, Hong Kong and Switzerland," she says. The teenager has an inclination towards acting and wants to pursue it. "If I am offered a fiction show, I will take it up. I like Madhuri Dixit. She is a complete package. I am inspired by Sonakshi Sinha’s expressions. I would love to work or choreograph them," she says. Teriya studies at St Lawrence School in Vashi, Navi Mumbai. She claims her school is very supportive of her career and that she covers up quickly with extra classes.